Having spent almost a decade making software exclusively for Apple platforms, Macphun is now releasing software for Windows. Finally here, Macphun Luminar for Windows is now available. It’s not quite perfect just yet, though, but it’s not far off. 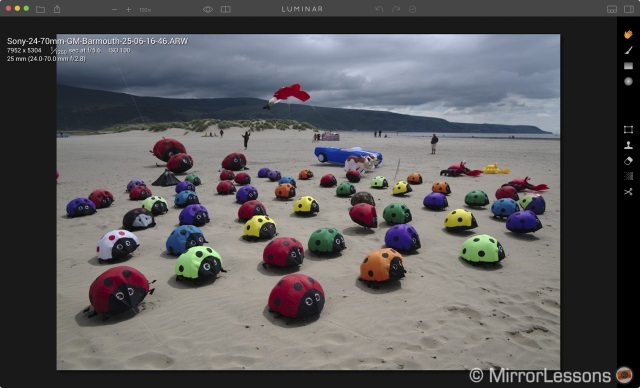 Macphun Luminar makes its Windows debut as a completely free public beta. >> Yes, you heard that right, grab it now free while you still can. If you are a photographer who has traditionally used Adobe Lightroom, DXO Optics Pro or Capture One for raw photo editing you probably do so to extract the best quality from your images. You want granular control. You are not looking for instant ‘effects.’ Likely, you may not find Luminar to be the best tool for your needs. The editing controls you need are given a secondary role in Luminar, this software is all about instant effects. You will be better served by sticking to Adobe Lightroom and other professional photo editing products. 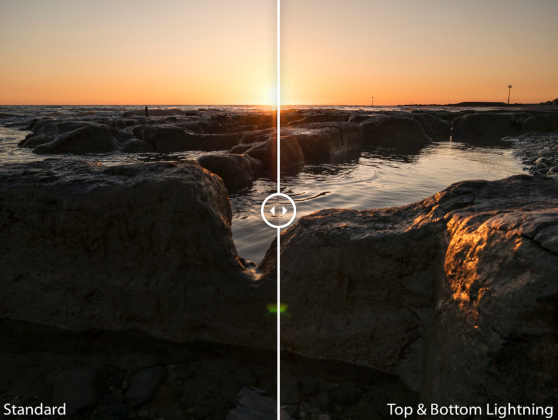 Most likely, you will add Luminar to your present photo-editing toolkit, not replace it. Luminar best serves the generation that uses smartphones as their camera of choice and has grown up in the Social Media age. For many of them, Instagram filters, not Photoshop or Lightroom is the photo-editing tool of choice. 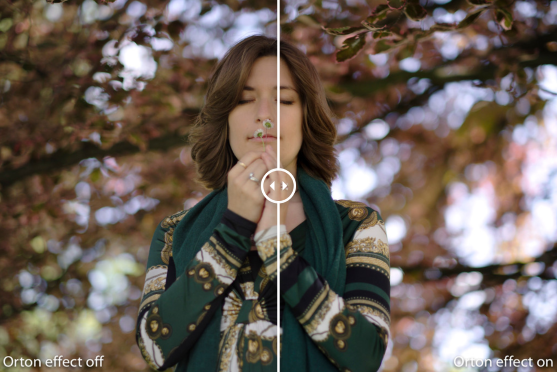 Luminar is fundamentally Instagram filters on steroids. It extends the range of instant effects to all of your images including raw files and adds a bonus set of fundamental image editing tools. And I must say, it is very very good at what it does. It’ll be nice to have another piece of software challenging Lightroom’s dominance. Luminar is a new piece of photo editing software, which has been designed to be used by photographers of different skill levels – whether you’re a beginner or a more advanced, or even professional user. You can change the workspace to include only the filters and controls you want. There are also preset controls for such things as Landscape, and Portrait editors. But don’t like those? simply design your own and save your workspace as you like it. Even if you have Lightroom, you don’t have layers. Luminar allows you to have multiple layers and all are very flexible in masking and blend modes. This gives you a ton of power to work on different areas of your photo independently. Raw files contain more data, and data is good, especially if you decide you want to make major changes to your photo. A raw file is just better to have around, period. Sure you need more storage, but that’s a small price to pay for peace of mind and future flexibility. Plus, you never know where your mindset will be in the future, so having a raw file is also great insurance. With raw or TIFF, the quality is much better and it shows in the image. No pixelation, no artifacts, and no issues. You can get some presets off the Macphun website (on their site, scroll to the bottom and look at the footer menu under “Extras”, click on “Luminar Presets”) or elsewhere, or use the ones that come built into Luminar. I think using Presets is a quick and cost-effective (or free!) way to learn more about using many of the filters and helping you determine what you want your photos to look like. This is a huge thing to do, because it involves setting fear and confusion aside and just going for it. But it’s quite fun and you will certainly learn something along the way. There are a LOT of filters built into Luminar, and you have to experiment a bit to really get your arms around some of them. Save some $ on Luminar! 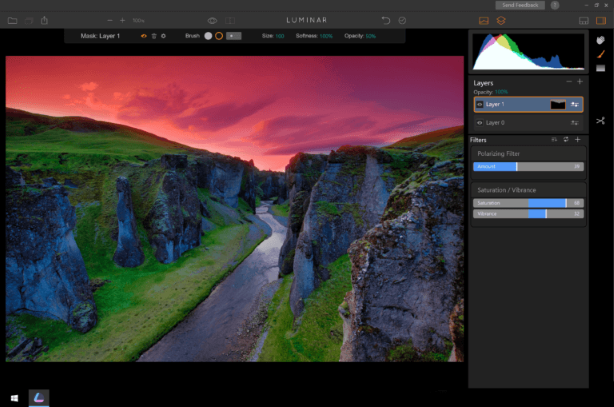 If you don’t have Luminar yet, but are Luminar-curious, then click right here to download a free trial, or click on the banner below. There’s no obligation – just a free test drive to check it out. VSP Direct is Vision Service Plan’s vision insurance option for individuals who want or need to enroll in vision care on their own instead of through their employer’s insurance. 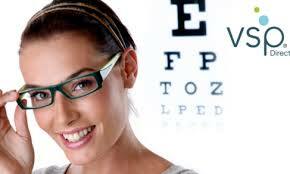 Plans by VSP Direct cover annual eye exams, glasses or contacts, and other routine services related to eye health. Why Should You Buy Vision Insurance? It is premium individual vision insurance at a seriously affordable cost, and it gives you access to a large selection of frames, including dozens of top brand names like bebe. VSP Direct has plans for everyone, from individual plans to family plans, and at as little as $17 a month. At that price, it’s easy to afford for yourself, or even gift it to someone else. Vision Service Plan is a top vision care insurance company that offers affordable and thorough coverage regardless of if you go through an employer or enroll on your own. VSP Direct offers a Standard Plan that includes great allowances that cover most eye care needs for you and your family members, including eye exams and the choice of new contact lenses or glasses every 12 months. The insurance company has a wide network of eye care providers across the United States, so you are very likely to find one located conveniently near you. Overall, VSP Direct’s plan options are the best option if you are a looking for an all-around good plan that you only need every 12 months. Welcome to the new year and with that comes another year of Loot Crate randomness. Today we will be going over this months Loot Crate, Invasion! Loot Crate is a monthly subscription box for geeks and gamers. Each month they include everything from collectibles, to stickers, and sometimes there’s even a t-shirt. One of the things I love about this box is that it’s only $20 per month – a super affordable geeky fix with a subscriber base so gigantic that every box is full of really awesome geeky items – many of which are exclusive to this subscription (and not just oh, it will be released later – actual exclusive items you’ll only get in this box!). Every Loot Crate box in 2016 will have a shirt! Every Loot Crate box comes with the mini mag and the monthly button. There are interviews and fan stories inside the magazine, as well as details on all the products. 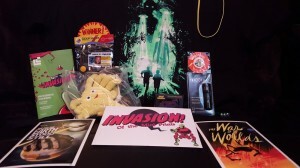 For this month’s Loot Crate looters received an X-Files The Day Has Come T-Shirt, Exclusive Alien Facehugger Plush, Space Invaders Vinyl Figure, X-Files LED Flashlight with Batteries, The Fifth Element Prop Replica Multi Pass, “Invasion” Mini Art Prints, and the Loot Pin with Digital Download for Letter 44 Issue 1. Plus my Loot Crate came with an industrial rubber band! TomTom does far more with its satellite navigation technology than putting it in cars. Its range of sports watches squeezes the GPS receiver onto your wrist to let you monitor your exercise and plot training routes. The Multi-Sport reviewed here is a four-in-one watch designed to track multiple activities, not just running, so could be ideal if you like to vary your exercise. 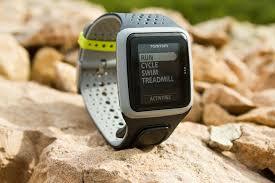 There are two different units available from TomTom: The Runner and the Multisport. The Runner is targeted at, well, runners. Whereas the Multisport is aimed at those who swim/bike/run. The Multi-sport is actually made up of two parts; a rubber strap and detachable watch face. This makes it easy to swap out the design for a brighter (or more subtle) colour, as well as wipe down the strap if it gets sweaty. The strap is very comfortable, latching firmly in place whatever your wrist size thanks to twelve sensibly spaced holes, and the watch itself is fairly compact. TomTom’s “One-button” control sits just below the watch face, although it’s actually a four-way directional pad rather than a single button. It makes navigating through the menus incredibly simple; Up and down scroll through menus, right selects an option and left returns you to the previous screen. There’s also a touch-sensitive strip on the watch face that activates the backlight, so you can clearly see the screen when out at night. TomTom has at been proactive with user complaints and issues; we received several firmware updates over the course of reviewing the Multi-Sport, with each one improving or adding new features. 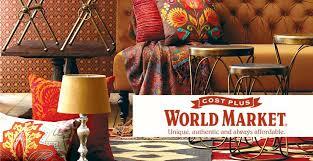 Find unique, authentic and affordable items for home decor, home entertaining, and gift giving at Cost Plus World Market online store. Definitely a must check out and this Christmas season! They have everyday low prices and high-quality, original items are a great value. Choose from eye-catching, trend-setting home accents, an awe-inspiring array of international foods and wines, and much more. “I ordered cool elephant lamp from them. It looks wonderful and it is nice and weighted-it doesn’t feel (or look) cheap. 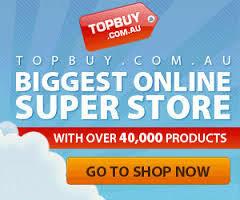 TopBuy is considered one of the largest online retailers in Australia. It is wholly Australian owned and operated company that offers a huge range of products including electronics, home and office products, clothing, shoes,jewelry, toys, outdoor, sports and entertainment products and a lot more. It started its operation in April 2007 and since then, it has taken hundreds of thousands of orders from local online shoppers. “Top Brands! Top Service! Top Price!” – this is the catch phrase of TopBuy. It ensures to customers only quality service by carrying top brands and quality products and offering such products at the best possible price. TopBuy guarantees that its prices are the lowest among Australian online retailers. Should you find any other online store that offers a lower price than theirs, TopBuy will beat that. Shipping takes about 2-4 days while in other parts of Australia, it takes up to 7 days. TopBuy delivers to residential, business and PO box addresses. Currently, TopBuy only serves Australia and does not ship outside the country. On top of returns policy pursuant to the warranty attached to a purchase, Topbuy also offers a 14-Day Guaraanteed Return should a customer changes his mind. If you are looking for quality items at an affordable price in Australia, TopBuy.com.au is definitely on top of the list of online stores to consider. With its quality service, low price and several discounted offers, you cannot go wrong with TopBuy. Of you are looking for an online super store that has not only quality but reasonable price in Asia, then you cannot miss out Lazada. 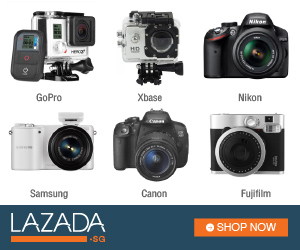 Lazada is mostly electronics and home appliances products. If you are looking for fashion, clothing, baby products, toys, furnitures and much more, then check out taobao.com! Taking about furniture, I just can’t resist to add one more website to the list here – MilanDirect.com. Milan Direct provides stylish and affordable furniture to Australia and UK. If you’re headed back to campus this semester, your syllabus probably has a list of expensive books to buy. You can make your dollars stretch a little further if you buy used or secondhand, and this week we’re looking at some of the best sites where you can score cheap textbooks without breaking the bank. AbeBooks has been around for ages, and changed remarkably little over the years, but that’s a good thing. The service still searches and offers massive discounts on textbooks from thousands of different retailers, all to make sure you get the best possible prices on the books you have to buy. They’re also a marketplace in and of themselves, meaning you can get many of your textbooks right there on the site, and sell used textbooks back to them directly instead of going to multiple retailers. GetTextbooks.com compares new used textbook prices from hundreds of online bookstores to find the cheapest textbook prices every time. Definitely worth checking here! The Co-op is Australia’s largest and Official supplier of textbooks , educational, development and learning resources. Amaysim is an Australian company with affordable pricing for the telecommunications services they offer. They have been operating since the end of 2010. Almost all Australians buy their phone service from one of the top 4 phone companies. In Australia, people choose phone companies in the same way they choose banks. For some reason, people tend to trust the brands they’ve always known and steer clear of new ideas. And just like the big 4 banks, if you’re not prepared to shop around for your phone services, and consider alternatives like Amaysim, you might be missing on the best deals. Amaysim are incredible value for 3G phone owners. Choose Amaysim Flexi for average usage, Amaysim Unlimited if you want best in market data inclusions at the $45 price point and Amaysim’s PAYG plan if you make a call a day. Conclusively, Amaysim has the upper hand with 4G pre-paid data and pricing value. In terms of fairness, we do wish that the benefits didn’t expire after 30 days, but that’s an industry-wide strategy that there’s no easy way around. If you need data on your phone, this is one of the best value ways to go about it. 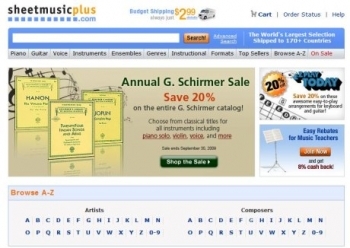 Sheet Music Plus is THE place to purchase sheet music online. Period. Whether you are looking for a Haydn String Quartet or a vocal arrangement of Lady Gaga’s Bad Romance, you will find the sheet music for it on Sheet Music Plus’ website for a reasonable price. The beauty of purchasing sheet music online is that you don’t have to trudge through the bins at your local music store, hoping they have what you want and then if they don’t, waiting for them to order it in. Simply skip the middleman, search for it online yourself and make Sheet Music Plus your first stop. Sheet Music Plus’ selection is unmatched by any other online sheet music store. We were simply blown away with the endless titles, composers and instruments with their own lists upon lists of sheet music. Fortunately for us, Sheet Music Plus has all of their music easily categorized by instrument, genre, A to Z , top sellers and more. No need to search for a hidden help page on Sheet Music Plus’ website; an order status link accompanied by a help link is prominently located in the upper right hand corner. They have three different guarantees: a safe shopping guarantee, a satisfaction guarantee and a low price guarantee. With the Safe Shopping Guarantee they promise that your purchase is 100% safe which means that if anything sketchy goes down, they will fix the problem and you pay nothing. The Satisfaction Guarantee provides you with a 30-day safety net to return if dissatisfied. Finally, the Low Price Guarantee says that if you find a lower advertised price for a product purchased from Sheet Music Plus within 30 days, they will send you a refund for the difference. Sheet Music Plus really is a tremendous resource for every kind of musician out there. Above that, you can even price check with other online music stores and still get the lowest price possible at Sheet Music Plus. This get into our top recommendations list.